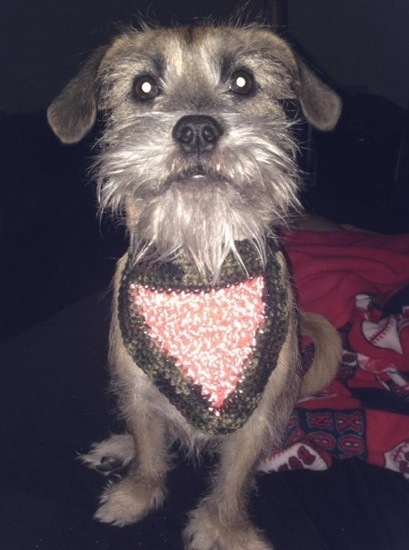 The Crochet Crowd on Facebook has a newsletter out with a tribute to pets and the best part is their idea for Red Heart’s new reflective yarn! I had wondered when and why I would use this stuff but clearly the answer is puppies! Duh! What better way to protect your K9 compadre than a reflective sweater for those cooler night time walkies? 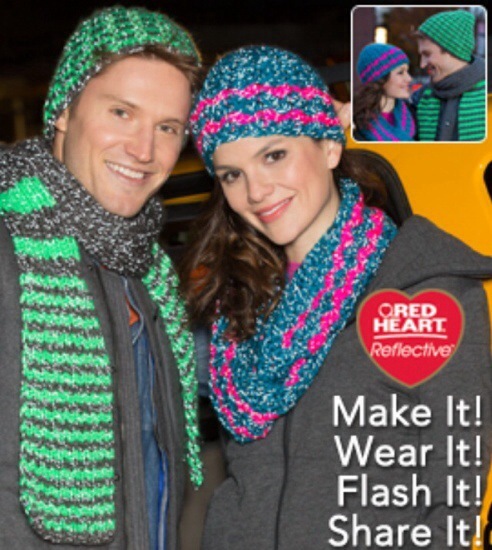 If one were so inclined, one could even make some gear for themselves as seen here in the ad from Red Heart.com. But I dunno. Other than walking your dog why would you ever need this?